Campus Adventures summer program sparks the creative and inquiring spirit of rising first graders through seventh graders. Summer courses aim to instill a love of learning by immersing campers in hand-on experiences in the arts and sciences. 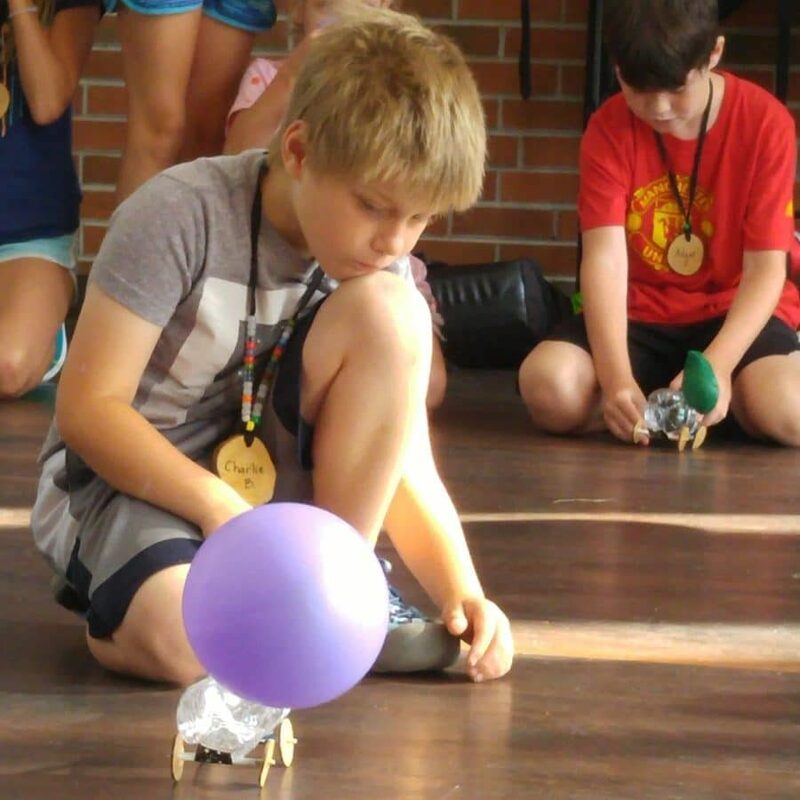 Campus Adventures is a day-camp that takes place July 15-19, 2019 on Brevard College Campus. Students can choose three, one-hour classes for the week such as blending the beauty of nature with different art projects in Nature Crafts, or investigating basic circuitry in Creating with Circuits. A full day at Campus Adventures can extend into the afternoon with activities like Stream Play, Game Time, and Life in a Stream. Campers have lunch picnic-style and then spend the Afternoon Adventure sessions exploring the campus and King’s Creek. For those students who have aged out of the summer camp, there is a teaching assistantship option. Rising eighth through twelfth grade students assist Camp Director Beth Banks with behind-the-scenes work. Assistants gain leadership skills while helping younger campers get the most out of their adventures. “I heard so many kids over the years saying they were sad they wouldn’t be able to come back to the camp next year, so I developed the leadership program for them,” says Camp Director Beth Banks. She has worked with Campus Adventures for 21 years, having served as the Director for the past eight years.